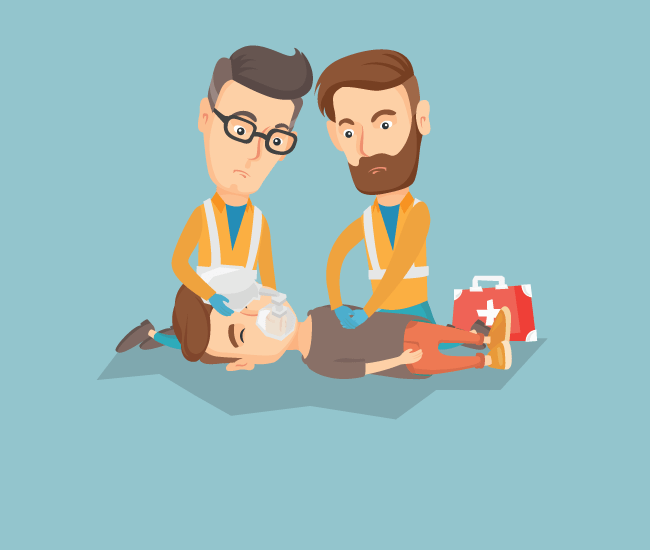 The History of CPR — Get CPR Done! Nationwide CPR Training. Low Cost. High Engagement. The history of CPR is a long one: its first explorations date back hundreds of years before you, your parents, your parents’ parents (and then some) were born. The idea of CPR can be traced to the term resuscitation, which, according to available references, was first explored in the mid 1500’s by Andreas Vesalius, a 16th century physician, who theorized that life could be restored by blowing into the trachea. He performed this act by placing a reed into the trachea of an animal and blowing while studying the animal, closely watching its chest. In the early 1700’s, Scottish surgeon William Tossach successfully performed mouth-to-mouth “CPR” on a dying coal miner, whose airway was blocked with toxic fumes. No word on how the miner responded, although one can imagine some combination of coughing and gratefulness ensued. By 1740, the Paris Academy of Sciences had recommended mouth-to-mouth resuscitation for those that had drowned. 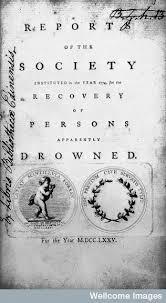 In August of 1767, the Society of Recovery of Drowned Persons was established in Amsterdam and was the first of its kind to coordinate efforts to deal with unexpected deaths. The institute saved about 150 people during its first four years. It used practices such as warming the victim, tickling the throat, elevating the lower body to remove excess water, putting pressure on the abdomen, removing blood, and fumigating to elicit instinctive bodily response. After this establishment, other organizations began to form throughout Europe, and many of these were later used as templates when forming medical institutions here in the United States. The institute served as perhaps the first organization to confront sudden human death. Other researchers began to classify the difference between absolute death and recoverable death. Slowly, medical professionals were beginning to note different ways of reviving individuals. Hill's process was nearly identical to the one described by William Kouwenhoven in the middle of the 20th century. Often regarded as one of the modern fathers of CPR, Kouwenhoven and his partners designed the first defibrillator and performed rhythmical massage along with delivering an electric shock to save a patient whose heart had stopped in 1957. Others had come to a similar conclusion at the beginning of the century. Moritz Schiff, a professor of psychology in Florence, observed that by opening the chest and compressing the heart as well as certain arteries, one could restore the heart. Successful attempts with internal cardiac massages began to be reported in the early 1900’s across Europe. Just like how mouth-to-mouth resuscitation was not widely accepted for a long time, it took the work of Kouwenhoven and his team about 50 years later for what we would call CPR to become common practice. Kouwenhoven at his desk in the 1950s. There were a lot of trials with the creation of CPR and not every method was accepted. In the 19th century, Dr H.R. Silvester suggested a type of artificial respiration, which was called the Silvester Method (The reason for this title has been lost to history). It involved laying the person on their back with their arms above their head to open the airways and pressing them on the chest to force exhalation. This was to be done sixteen times per minute. Gradually, this developed into the Holger-Nielson technique, which was illustrated in a 1911 Boy Scout Handbook. This method involved laying the person on their front with their head to one side with their palms resting underneath the head. Then, pressure was applied to the elbows to raise the upper body and then downward pressure was put on the back to force air into the lungs. This method, however, did not gain a lot of credibility in the medical community. Two men in swimsuits (?) demonstrate the Holger-Nielson technique that never gained wide acceptance in the medical community. The importance of chest compressions was not fully understood until the 1950’s. External chest compressions were developed by three students at Johns Hopkins University: electrical engineers, William Kouwenhoven and Guy Knickerbocker, as well as cardiac surgeon, James Jude. Kouwenhoven, Knickerbocker, and Jude were later called the fathers of CPR. As we mentioned earlier, their team developed the defibrillator in order to restart the heart, which replaced the previous method of opening up the chest and cracking the sternum to manually squeeze the heart. They performed the compressions on a dog and later a child, and this method along with mouth-to-mouth resuscitation was later shown in a 1960 meeting at Maryland Medical Society by Safar, Jude and Kouwenhoven. Peter Safar is another key figure in the development of modern CPR. He combined chest compressions with mouth-to-mouth resuscitation and developed the “ABC’s” of cardiopulmonary resuscitation. The three described that the two techniques should be used together instead of separately. In 1962, Jude, Knickerbocker, and Peter Safar went on a global tour to spread the news of CPR and created a training film called “The Pulse of Life”, which popularized the mnemonic “ABC” which stands for airway, breathing, and circulation. The following year, in 1963, the American Heart Association officially endorsed CPR and cardiologist Leonard Scherlis created a committee for it. In 1966, a national conference was created to formalize the technique. Modern CPR has become popular for reversible conditions such as a cardiac arrest, heart attacks, drug overdoses, and drowning. Although the method was first introduced as ABC’s, it has been revised to CAB to stress the importance of chest compressions. In 1974, the American Medical Association recommended that people’s CPR preferences be written in their medical records. In 1992, the International Committee on Resuscitation (ILCOR) was founded. Knowledge of CPR has continued to grow since then and countless people around the world have been trained (some through the excellent team at Get CPR Done). We’ve truly come a long way.